Meco CPL: More Power Out of Your Cell at a Lower Cost! 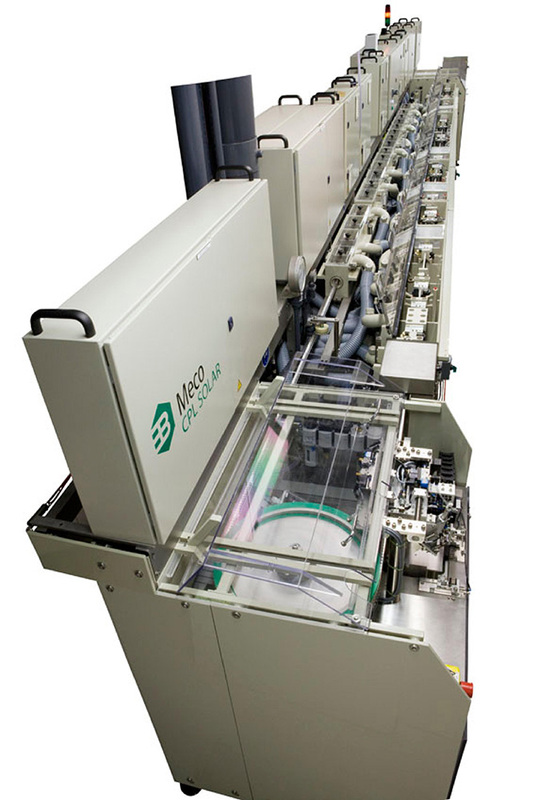 The Meco CPL is based on the robust and proven concept of the Meco EPL which has, with more than 350 machines installed worldwide, built a reputation in the semiconductor world for leadframe plating applications. 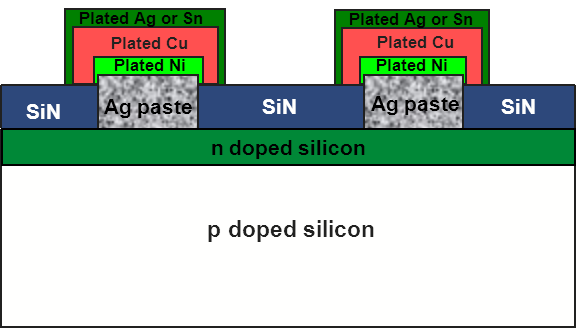 A vast majority of Si cells is produced by screen printing silver paste onto the front side of the wafer. To form electrical contact with the cell emitter a firing step is done afterwards. This is a well established production method within the PV industry although there are areas for further improvement. Typically screen printed contact fingers are printed 90-100 micron wide to obtain sufficient electrical conductance. To further increase the cell efficiency the contact finger width can be reduced as the active area of the cell increases (less shading). However, cell efficiency improvement is limited as the poor aspect ratio of screen printed contact fingers leads to an increase of the contact finger resistance value at the same time. 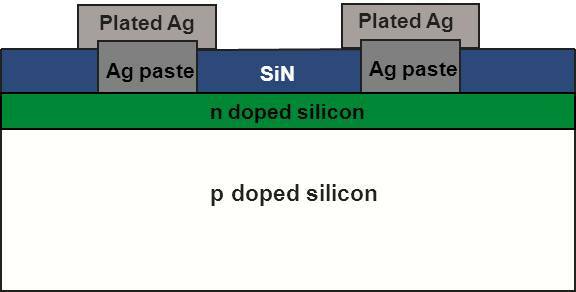 Meco offers a real solution for cell efficiency improvement: the process starts on a narrow and thin seed layer of Ag paste where the electrical conductance of the contact finger is further enhanced by electroplating either Ag or Ni-Cu-Sn onto it. This gives a narrow contact finger while the resistance value is also improved at the same time. 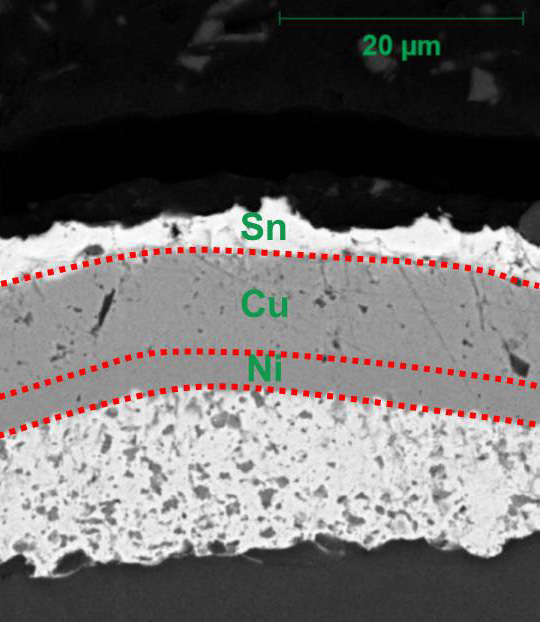 With the CPL, an overall absolute cell efficiency improvement of 0.3 - 0.5% can be obtained and also expensive Ag paste can be saved as only a narrow and thin seed layer is required. Therefore with the CPL an RoI of < 1 year can be achieved! 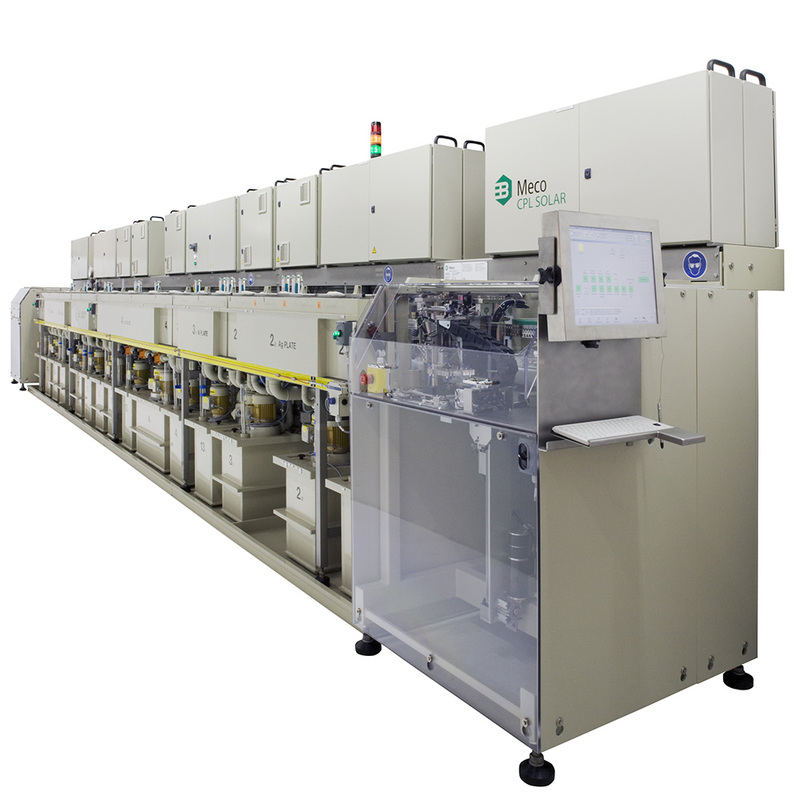 The total CPL throughput is 1,500 to 3,000 cells/hour. Cell size: 5 x 5", 6 x 6"